You probably already know that most makeup is made from toxic ingredients like lead (a heavy metal) unfortunately found in the brightest red lipsticks... Terrible thing is it's known to cause cancer, can cause premature aging and wrinkles, not to mention death! I know you want to stay looking beautiful forever and probably don't know how or where to find 100% natural makeup that looks and feels equal or better than traditional makeup. Or even if you know where to buy it, it can be prohibitively expensive. That's why I offer you an intimate class on how to make your own gorgeous makeup from scratch, from 100% natural ingredients. Not only will you leave this class with your very own batch of red hot cancer free lipstick but a full on makeup kit; lip gloss, eye liner, rosy cheek stain, cleansing grains, skin serum, and eye wash! You'll be given the knowledge and tools necessary to easily and inexpensively create your own custom makeup for life. It's healthier for your skin and will save you hundreds of dollars off retail makeup. Stop wasting money and time with expensive makeup that harms your skin. Come join me for a few hours and get gorgeous makeup that will keep your skin staying healthy and radiant for life plus save you tons of money. 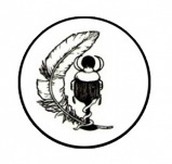 with one scholarship for the entire series for work-trade, available to a person who is queer, indigenous to Berkeley CA, black or is a person of color. My Conscious Glamour Class is broken into 5 parts. This series is meant to be in sequence (introduction to herbalism, skin, lips, eyes, hair) because students will use products they made from the previous class. For example: you'll need veil powder made in skins class for the eyes class. Because my classes are dense I will not go over how to make products made in other classes. All classes are experiential, hands on and students will take home a couple makeup items made in each class. 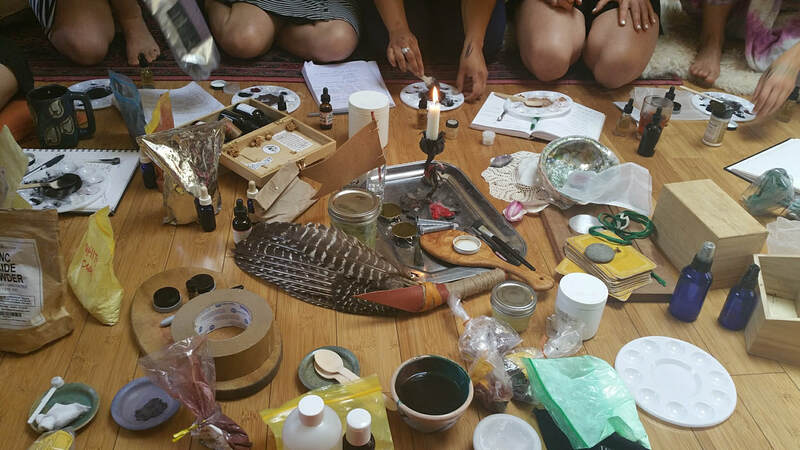 medicine making preperation; make extractions, learn plant actions and the relationship our plants have with our bodies, specific to conscious glamour. This class is deeply dedicated to opening the topic of conscious glamour. So many folx are having unexpected (to them) revelations about guilt, shame and a misalignment with magnetic energy. Let's talk about it. There will be spells and enchantments added to this glamour MAGIC. You'll learn about your skins relationship with your liver. Heck, you'll learn about multiple system relationships with your inner and outer body beauty. These beauty classes are covers for a deeper learning for self care and self love. ​about what profiteers are telling you, you need to be beautiful. All you ever truly need is self love.